Indian School Road is the story of the controversial and tragic history of the Shubenacadie Indian Residential School, its predecessors, and its lasting effects, giving voice to multiple perspectives for the first time. Eco-Innovators profiles some of Atlantic Canada’s most innovative and forward-thinking sustainability entrepreneurs, educators, activists, agitators, farmers and fishers. Halifax filmmaker Kevin Moynihan teamed up with Chris to make several short documentaries based on the book. In Nova Scotia Love Stories, some of the province’s most beloved authors explore through fact and fiction the myriad ways in which a love story exists. 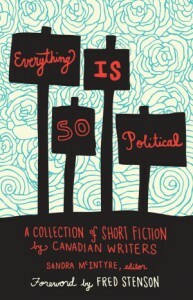 The collection includes Chris Benjamin’s “Operation Niblet,” story about Gerry, who embarks on a daring and stupid animal rescue mission to prove his love for his roommate Zoëy, a vegan eco-feminist. The collection also features stories by Silver Donald Cameron, Marjorie Simmins, Budge Wilson, Bruce Graham, Maureen Hull, Jon Tattrie, Lindsay Ruck, Jim Lotz, Steven Laffoley, Sheldon Currie, Harold Horwood, Carol Bruneau, Michael Ungar, William Kowalski and Don Aker. 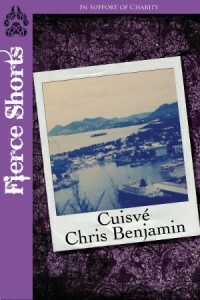 Becoming Fierce: Teen Stories IRL, a collection of creative non-fiction pieces written by Atlantic Canadian authors including Chris Benjamin, released on September 23. Twenty per cent of proceeds of sales go to Kids Help Phone, chosen by Canadian author Susin Nielsen, who contributed the foreword. Chris Benjamin signed up for a volunteer work exchange program looking for an adventure. It wasn’t until he arrived in St. Lucia and began spending time with his counterpart’s family — in particular Uncle Dingo — that Chris woke up to the divisions of wealth and poverty, and experiences of love and loss that can unite us in spite of everything. Cuisvé is a short memoir of a formative three months Chris spent working in the Caribbean rainforest. A portion of proceeds support human rights for Nicaraguan street children. “the best little book of writing advice around” – Budge Wilson…Chris is one of 55 writers in this collection sharing their best advice on writing, inspiration, success, failure, blocks, breakthroughs, and process. An audio anthology of short fiction performed by professional actors. Literature never sounded better. Chris’ contribution, “Delia and Phil,” is performed brilliantly by Charlie Tomlinson. 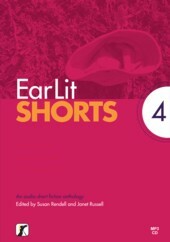 Fourteen stories and three poems that breathe unexpected possibilities into the atmosphere that surrounds and fills us. 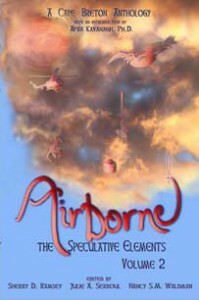 Take flight with these tales and explore what is always elusive: microscopic particles, airwaves, wind, space, sound, and spirit. Chris Benjamin’s “Gifts From the North” features a young woman burdened by her ability to traverse the mindwaves of cruel men. 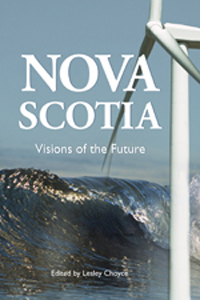 Forty of Nova Scotia’s best minds (and hearts) explore environment, technology, immigration, urban life, rural life, energy, politics, government, family, economics, and more. 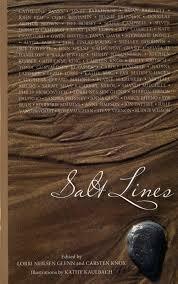 The writing is personal, provocative, reflective, and thoroughly captivating. In “The Futurology of Fatherhood,” Chris reflects on the opportunity and responsibility – his, society’s and the planet’s – of becoming a father.